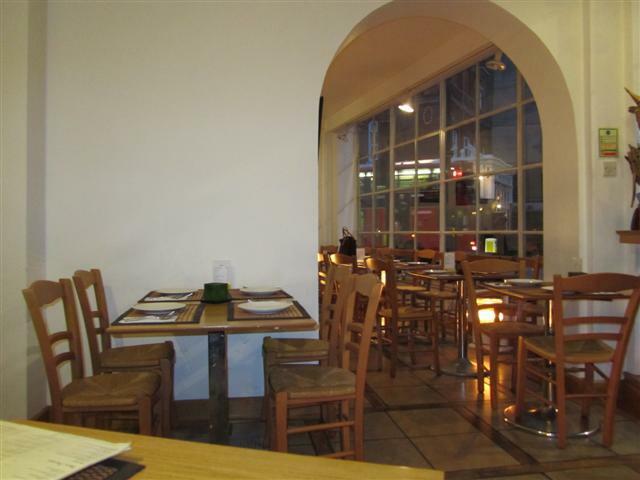 The restaurant seemed to have two dining areas: one close to the entrance and one through an archway. 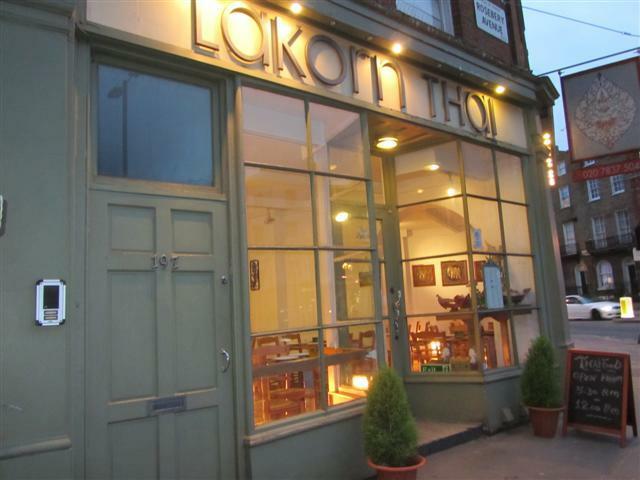 Lakorn Thai was nicely decorated and was also quite light due to its cream interior. On this particular evening, the restaurant was quite cold even though we were given a table near a heater. While I was waiting for my friends to arrive, there were at least two different groups of people who left the restaurant without dining there. The reason that they gave was that the place was too cold. 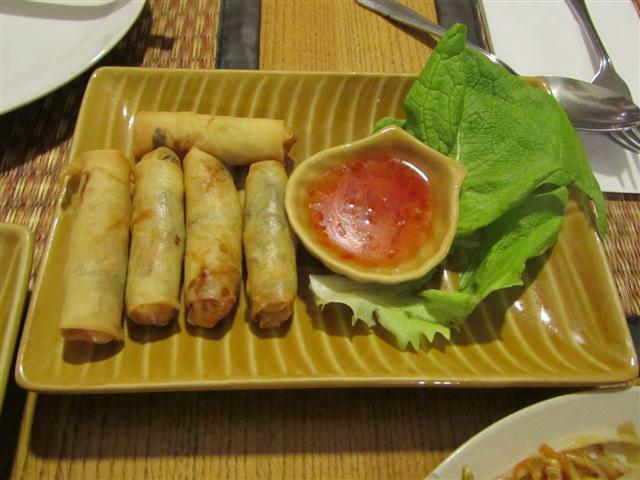 The selection of food that we had was the vegetable spring rolls, vegetable tempura and vegetarian Pad Thai. The food was brought out surprisingly fast, not long after we had ordered. The spring rolls were nice and crispy. 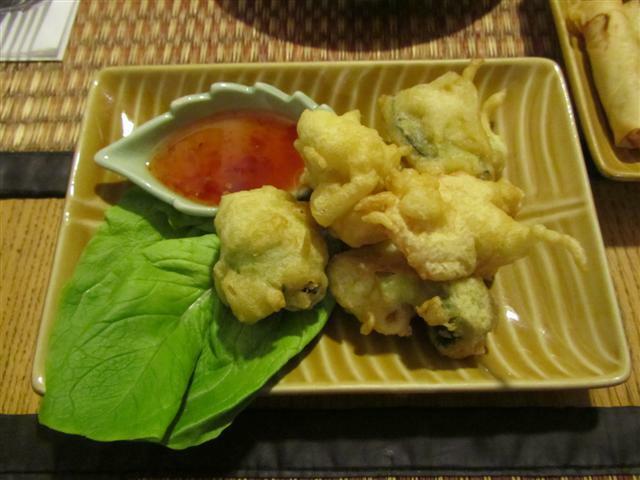 The tempura included broccoli, mushrooms and peppers. The batter was light and the tempura tasted good with the dipping sauce. The Pad Thai was slightly disappointing. It was too sweet and did not have any tangy flavours. The noodles were cooked well and the dish had big chunks of tofu, egg and beansprouts. 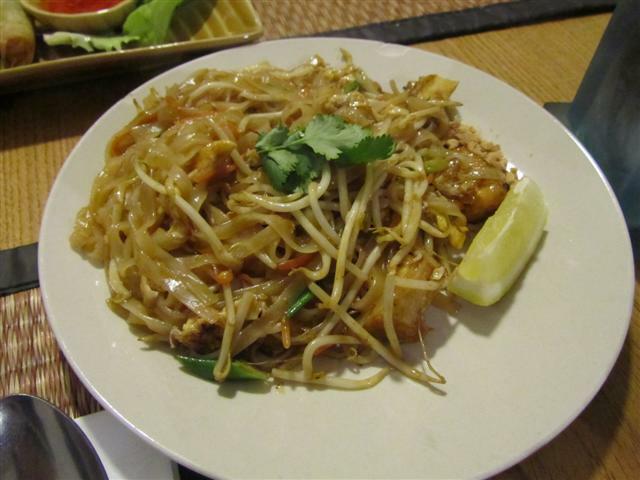 Even though we asked for extra vegetables in the Pad Thai, this request did not seem to have been met. 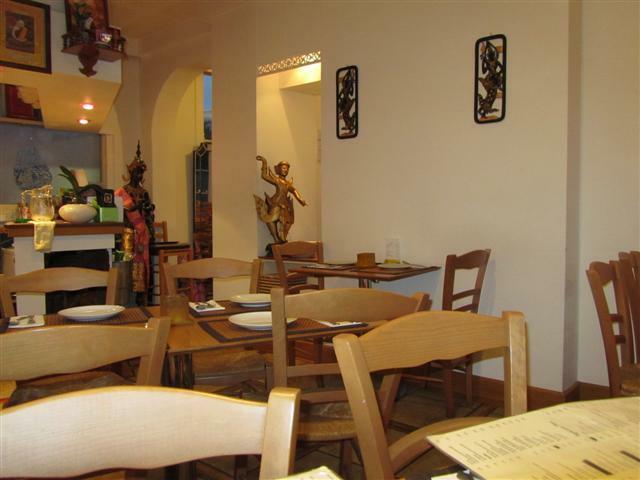 The staff were friendly and gave us service with a smile. There were a couple of communication issues though, as a few of the staff did not really understand English very well. So when we asked them questions, they just smiled politely and then another member of staff would come and step in to deal with our query. I’m not sure how much Thai food you’ve eaten in your life, but I found the food here to be atrocious. Some of the worst I’ve eaten in London and definitely the worst Thai meal I’ve had in my life. To call it Thai food is an insult to the wonderful people of Thailand and the vibrant, fresh and flavoursome food of the country that often packs a a walloping chilli punch. The closest punch I got was slap of greasy, oilyness from whatever meat surprise parts were being hidden in the money bags.